Pinot Noir is a light red wine, first planted by the Gauls before the Roman invasion. By 150BC there were vineyards in France of this fine grape. The pinot noir grape is the main grape used in much of Burgundy. It is used for Red Sancerre wine. Some experts feel that pinot noir makes the finest wine in the world. It was only recently, in the early 1990s, that pinot noir began to be grown in quantity in California, Oregon, Australia and New Zealand. Pinot Noir grows best in cool climates. It is known as an extremely difficult grape to grow and to make into wine. A Pinot Noir's color can be any of a range of colors - from cherry red to puple-red and even brown as the wine ages. Typical flavors include earth, leather, vanilla (from the oak), and jam ... the fruity flavors of the jam often taste like raspberry, strawberry, and plum. Pinot Noirs go well with pasta with red sauce, or lighter beef dishes. Also, any local game you might have, or even goose would do well. It should be served at around 61F. While some pinot noirs are meant to be drunk immediately, a fine pinot noir can easily age for 10 years or more. MAKE THIS INTO A GIFT BY ADDING OUR ADD A GIFT CRATE OPTION! 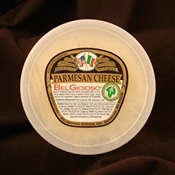 This item contains 12 - 5 ounce cups of Vegetarian Parmesan for a total of 60 ounces. 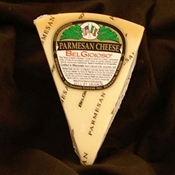 Cooks Illustrated deemed BelGioioso Parmesan Cheese the Best Parmesan in the summer of 2007! 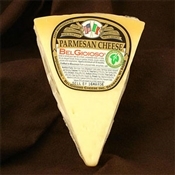 BelGioioso Creamy Gorgonzola Cheese has a soft, yet firm enough texture to cut into smaller pieces. A combination of the Dolce Latte and Malghese varieties from Italy, its creamy texture and full, earthy flavor melt wonderfully into sauces to top pastas, beef, chicken and vegetables. 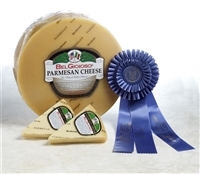 It also makes a delicious spread by itself or when mixed with Mascarpone.